What you see here is not some sort of cute little key fob, although one could be mistaken into thinking that it is. It is basically a small megaphone – one so tiny, that you can carry it with you wherever you go without having people notice it. 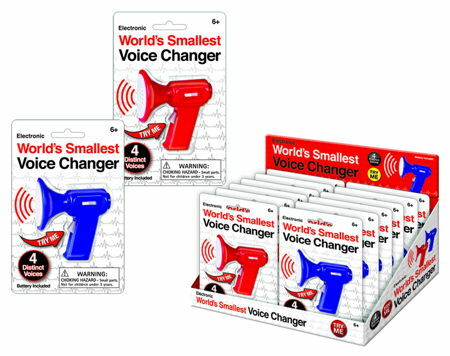 Whenever you hold the button and speak into it, it will do according to it’s namesake – being the $9.99 World’s Smallest Voice Changer. I don’t suppose that this is the perfect tool when it comes to goofing around, or if you would like to play a prank with your friend over the phone, and generally making a pest out of yourself. Arriving in red or blue shades, it comes with batteries right out of the box to help you get started from the get go.